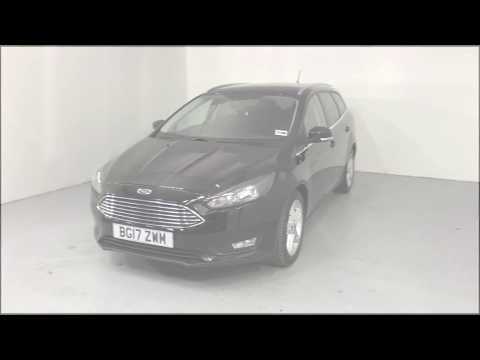 Thame Service Station are delighted to offer this fantastic nearly new Ford Zetec. Being the latest and middle specification you will benefit from smart alloy wheels, electric mirrors and privacy glass. You’ll also find plenty of high-tech internal features such Bluetooth with music streaming for your mobile devices and a DAB Radio. Wave goodbye to standing in the cold scraping ice from your windscreen, as the Focus gives you heated front screen which will clear in minutes. The Focus will save you money too, with latest Diesel Engine giving you great fuel economy road tax at £140 for year. This car has been through our intensive preparation process including a full 100 point check by a Bosch certified technician along with a fresh service. Once it’s finished it moves on to our Autoglym trained team who give the car a full showroom valet making sure it is close to brand new as we can possibly make it. This car also benefits from the remainder of the Ford warranty which expires May 2018. We’re a platinum black horse dealer so feel free to call us for an instant over the phone quotation or go to our website www.thamecars.co.uk for our online finance tool along with 20 photos and a video of every car.